Not much has changed since last week, the fish are moving around a lot and that means hit and miss results. We had some wet days earlier in the week, which made for some cold days out on the water, but these past few days were pretty nice and Eddie was out on a few charters. Lots of bites these past few days, with double-digit encounters, but not a lot of big fish. There does seem to be a lot of just under fish around, so that is promising for the future and hopefully they stick around to feed on all the bait we are seeing this year. The next few weeks will be interesting. Typically we see some great chinook fishing out of the Hump starting around April 15th and it usually lasts for about 4-6 weeks. 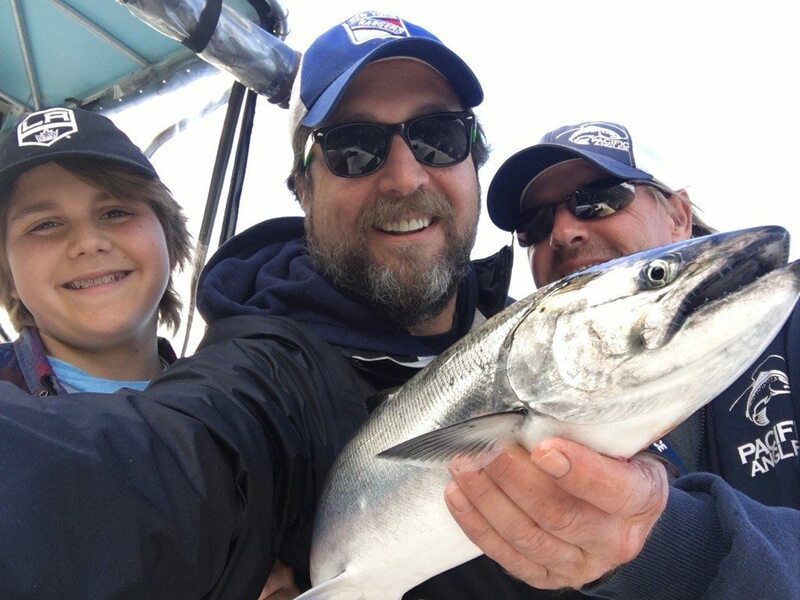 Last year the Hump was slow as there were a lot of anchovies along the shorelines of Bowen and into Howe Sound and it seemed the chinook rolled into these areas to feed on the massive balls of bait. Time will tell if we are going to get a traditional Hump fishery this year or if the bait and fish will be a little further into Howe Sound. We will keep you updated as things progress. For tackle not much changed. The usual glow flashers and spoons have been producing well. For details read previous reports as our top favorites have been featured many times. If you need to gear up, this is the weekend to do it as we have our 10 Year Anniversary Sale this weekend! The saltwater section is stacked with goodies right now, as we have received all our spring shipments. This is a great time to stock up for the season and save some money while doing so. Check out the full sale list HERE.